Alright, Whovians, you got your wish! Fish Fingers and Custard, also known as Fish Custard, is a dish enjoyed by the 11th Doctor shortly after his regeneration. The dish has a sort of emotional relevance to the celebrated relationship between the Doctor and Amelia Pond, you can watch the complete scene here to see its introduction. Fish Fingers and Custard does not seem like something a normal person might want too eat, not all of us are time lords with pregnancy-like food preferences. In reality, Matt Smith, the actor who plays the newest Doctor, was actually eating breaded coconut cakes during this scene. So, there were two possible options to make this idea palatable: you either make the fish fingers into some sort of pastry, or you make the custard into something savory that compliments fried fish. I have found many recipes already that make this dish into more of a dessert (I recommend this one if you want to go that route) but I have never been one to go sweet unless the dish was intended to be a dessert, so I decided to make a savory version. My recipe pairs a panko and coconut battered fried fish finger (coconut added as tribute to the reality of the scene) and tangy lemon honey mustard dipping sauce (that basically looks like custard) which compliments it perfectly. Make sure fish is cut into 1 inch thick strips. Combine the flour, salt, and pepper in a shallow bowl. Beat the eggs with the milk in another shallow bowl. Mix the breadcrumbs and coconut in a third shallow bowl. Coat each fish piece in seasoned flour, dip in the eggs mixture and then roll in the panko and coconut mixture. Set aside until ready to cook. Heat 1/2 inch of oil in a large skillet over medium-high heat. In small batches, fry the fish sticks until golden brown, about 2 minutes per side. Drain on a paper towel-lined plate. To make the custard sauce simply combine all ingredients together and mix thoroughly. Liberally dip fish fingers in the custard sauce and enjoy! I love you. This is great. Not only is this just awesome as a Doctor Who fan, but it actually sounds really good. 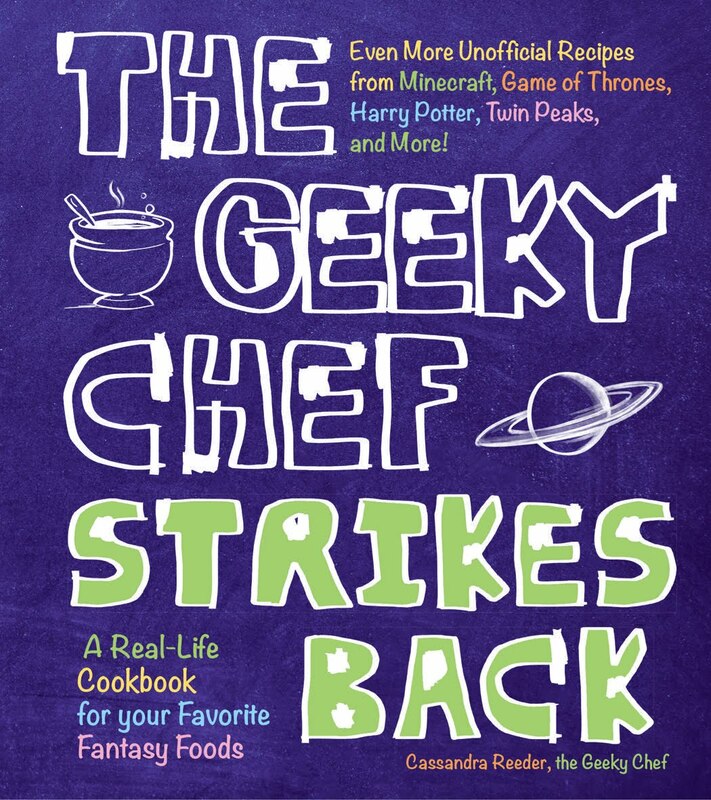 So going to make this and have a Doctor Who marathon. You know, I tried Fish fingers and vanilla pudding, and it was fine. 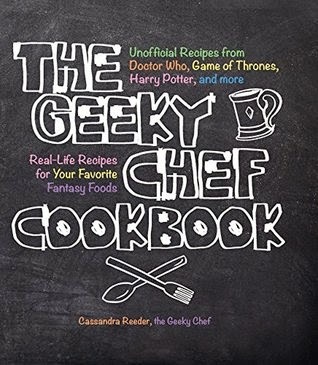 I'm sure it is, but hopefully this is better, and might be good for Doctor Who themed parties... Not everyone has the culinary cojones you do! Even Matt Smith didn't actually eat actual fish fingers with the custard. What could I use instead of yellow mustard ? It's not easy to find where I am. Also, is adding a bit of curry to the "custard" a good or bad idea ? I think curry would taste pretty good actually! It might work just adding curry because the color would be very similar to regular yellow mustard. If you don't mind cheating a bit, any mustard would be fine if you just add a bit of yellow dye for the color. What Matt Smith was actually eating was some sort of coconut cake in custard. Thanks! I verified that and it's fixed. Maybe it is a good thing, in a later episode he claims to have invented Yorkshire Pudding. He's on a roll! I tried real fish fingers with real custard at a friend's birthday party and I really liked it. I do tend to have an odd taste in food. It's best if you make your own custard and cut down on the sugar so it's just slightly sweet. It's simple and easy to make and I know several people who really like it and eat it regularly. Bet Moffat didn't see that one coming, haha. I'm assuming they were just trying to find a really strange combination that people would think was gross. And it turns out it really doesn't taste bad at all. Sorry, but this is a mustard dip, not custard. We've used Bird's Custard with our fish fingers, which is quite yummy! I'm sure this is a delicious recipe, but custard is sweet. *GASP* What do you MEAN it isn't custard? Um, they acknowledge the sauce is not custard in the post. So thanks for your... "contribution"
Technically, mayo is a custard. I was hoping for banana flavored custard :'(. I can't wait to try your recipe! Another I would love to see on your site would be the Banana Daiquiri The Doctor invented a century early in the Girl in the Fireplace episode. Whovians would go "bananas" over it! OMG. I remember that day! 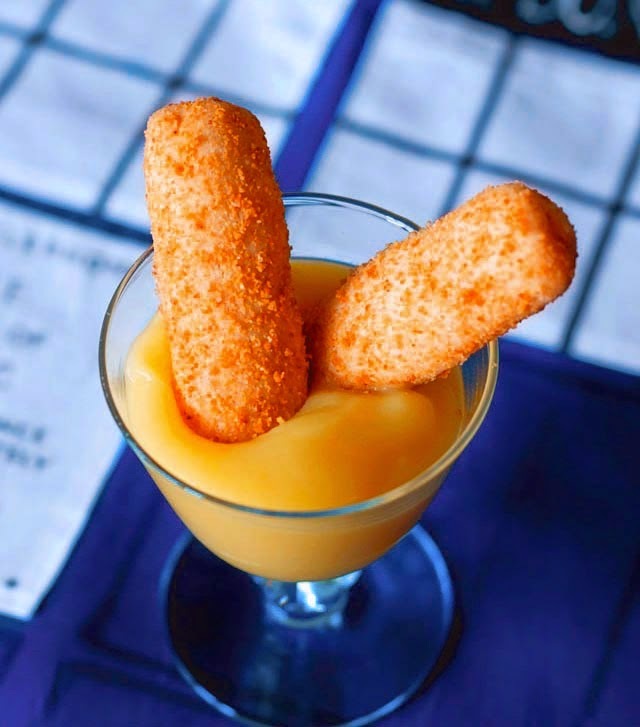 David Tennant or David McDonald, the 10th doctor, first ate fish fingers and custard, though a good recipe! I made fish fingers and custard for the 50th, it really isn't bad, sweet and salty. I did serve lady fingers to go with it, for the less brave among us. have to try these out on me and my kids, sounds delicious!! Is the fish uncooked before breading and frying? Also, how do you tell when the oil is hot enough for frying? Finally, how many fish fingers does the recipe make? I want to make this in two weeks for my husband's birthday, but it would be helpful to know these things. Recipe looks great, and I'm excited to try it! Made this today as an Easter treat. So yummy! Really perfect, especially with the garlic bits - complimenting the fish very well. Thanks so much. Watching the first episode of Season 9 tonight, and I'm gonna make these! Thanks for the recipe!